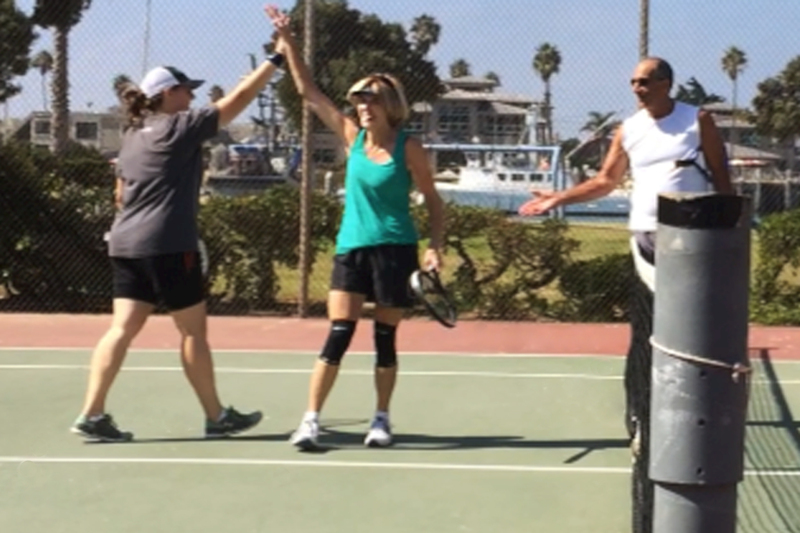 If you are a resident of the local beach communities in the Channel Islands Harbor area in sunny Southern California, please join our new Fitness, Friends & Fun Tennis Meetup Group, which offers FREE MTM lessons and open play for all ages and ability levels. Modern Tennis Methodology lessons are being offered as a donation-based community service in conjunction with Tennis Kids For Life, a non-profit organization dedicated to growing tennis at the grassroots level. Your optional contribution will help fund this new organization, dedicated to inspiring and educating children and adolescents through tennis. We meet every Tuesday from 11AM to 12PM at Peninsula Park, right on the edge of the bay in Channel Islands Harbor.